A real Maine Moose at a wedding is something I have seen only one time in my ten years of shooting weddings. 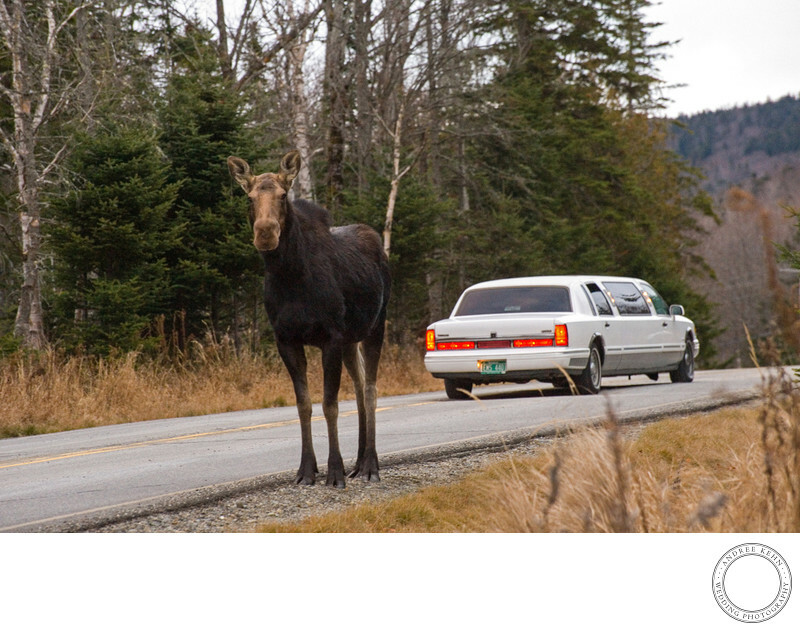 This wondrous animal was in the middle of the road as I led the way to Saddleback Ski Area for the reception, and I managed to pull over, grab my camera and wave the limo on so I could get a shot of it in the background behind the moose. It was a wonderful off-beat wedding moment - only in Maine! 1/60; f/9.0; ISO 6400; 220.0 mm.